Morgan Bowers (Pittsley) has grown up around real estate. Since she was a young girl, Morgan would help out her Father with his investment properties and help with completing improvements on their family home. In 2014 Morgan took a chance and became a licensed leasing agent. This was where she found a passion for real estate. Since then Morgan has worked as an office manager at a real estate law firm. This is where her passion grew. 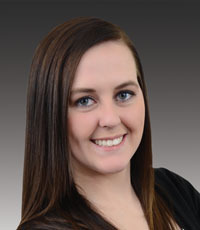 Morgan has learned the in’s and out’s of real estate closings from start to finish. She knows what to do to make sure a transaction will close smoothly. Morgan has gained a wide amount of knowledge of the greater Chicagoland area. She knew becoming a real estate broker would be the perfect career choice for her due to her background and passion for helping people and the real estate industry. Along with being a Licensed Real Estate Agent, Morgan is also a member of the National Association of Realtors, Illinois Association of Realtors, and Mainstreet Organization of Realtors. These resources combined give Morgan the tools and services to best help clients buy, sell and rent new properties. Morgan will work hard to make sure your needs are met. Morgan is best known for being patient, attentive, compassionate and hard working. In Morgan’s free time she enjoys being outdoors, all kinds of sports and spending time with her fiancée and their 3 beagles. Morgan also volunteers for a local Beagle Rescue where she helps transport rescued beagles and fostering beagles in need.